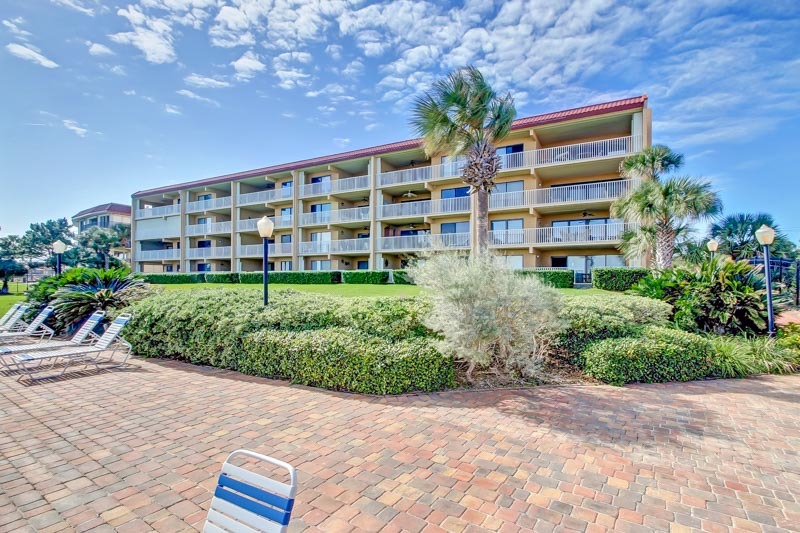 Atlantis on Amelia is an exclusive Amelia Island condominium complex located right on the beach with some of the most impressive waterfront views that you can find on the island with great weekly and monthly rental rates. Its central location makes it perfect for anyone looking for a waterfront lodging option that will allow them to access the best attractions that Amelia Island has to offer. We rate these condos as some of our best and most luxurious vacation rentals in their price range. One of the top benefits of renting an Atlantis condo is the incredible ocean views that each unit offers. Wake up to a gorgeous sunrise over the Atlantic Ocean that you can see right from your balcony, or walk down to the white sand beach right outside the condo for a peaceful and relaxing beach stroll. You’ll get truly breathtaking water views that rival some of the best luxury hotels on the island at a fraction of the price. There’s also no shortage of amenities to make your stay enjoyable and comfortable. The 2 and 3 bedroom units at Atlantis are very spacious and full of amenities such as full bathrooms with shower/tub combinations, free internet and cable televisions, washer and dryer combination, bath and bed linens, gorgeous wooden floors and carpeted bedrooms, full kitchens with all the appliances and utensils you need, and large spacious living and dining areas. The condos at Atlantis also feature modern and beautiful décor with bright and vibrant designs and high quality furniture. Each room is tastefully decorated with the touch and creativity that you would expect from a master designer. From the moment you step into any of the condos at Atlantis you’ll be amazed by their impressive décor, giving you the perfect place to relax and retire after an exciting day out exploring Amelia Island. Outside of the vacation rentals you’ll find a direct walkway to the beach, a pool for the condominium complex, and lighted tennis courts that you can use during the day or evening. Parking is also available for 1 vehicle with additional parking available if required. Located right near the center of Amelia Island, you can explore numerous fun-filled attractions nearby including the downtown Fernandina Beach area with its many restaurants, culinary and community events, stores and historic sites, Amelia Island State Park on the south end of the island with vast hiking trails, beautiful ocean scenery and beach horseback riding, and several top-rated professionally designed golf courses in the area. There’s no doubt that you and your family will enjoy the time you spend at your Atlantis condo, with all of the amenities that you could ever need and want and the luxury of being able to wake up to the most scenic and gorgeous view of the ocean that you can imagine. We can help you find the perfect Atlantis on Amelia lodging option based on your requirements and reserve any of the condos here that interest you. Please contact ERA Fernandina Beach Realty today for more information about Atlantis on Amelia vacation rentals and availability at (800) 741-4011.